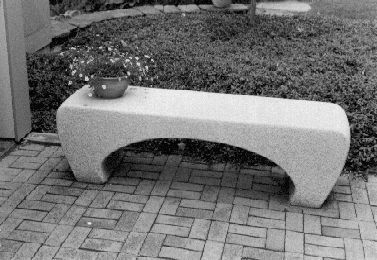 "Millennium Bench" Outdoor furniture/sculpture certain to last thousands of years. It has subtly curved and variously textured surfaces which have been hand-rubbed with abrasive to present a smooth feel for the hand. Barre granite, 5'-0" long by 1'-7" wide by 1'-7" high. 1993.